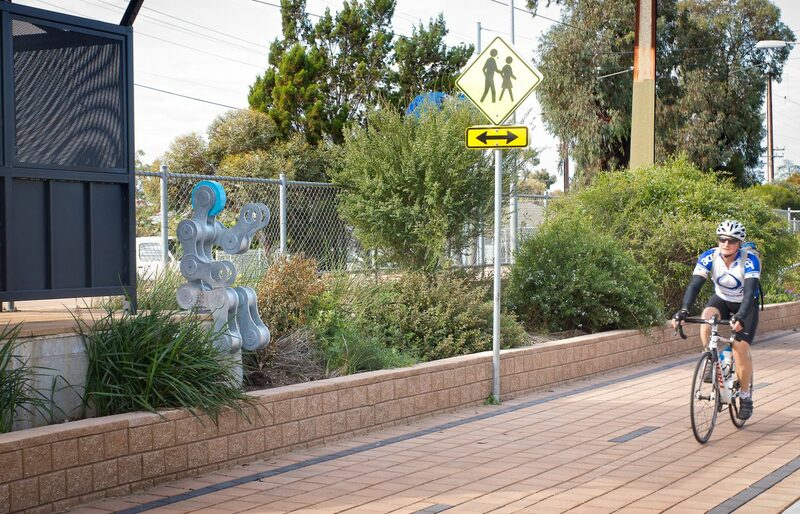 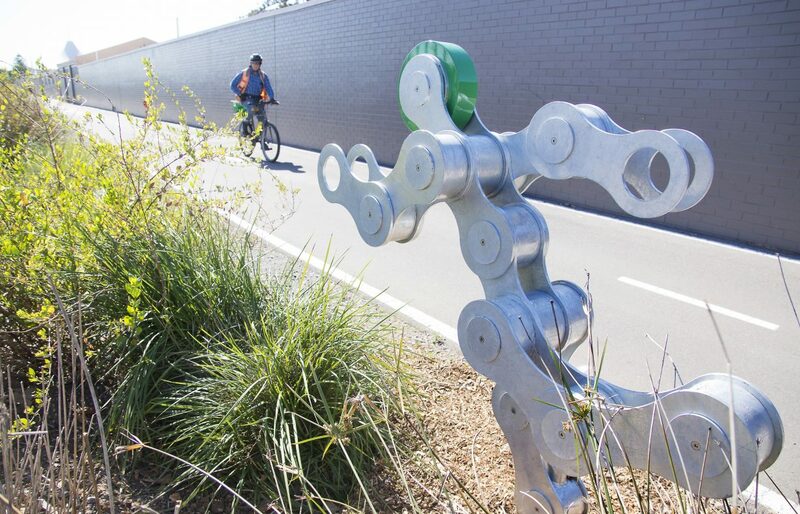 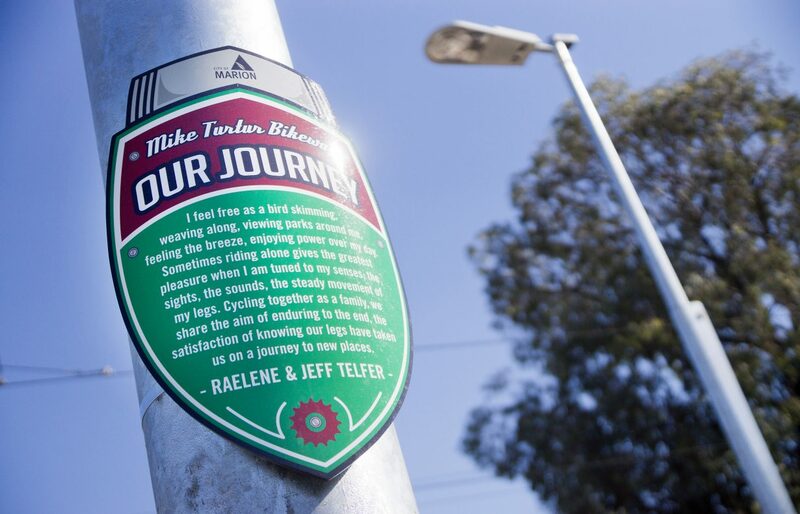 These pieces are an artistic response to commuting along the Mike Turtur shared path. 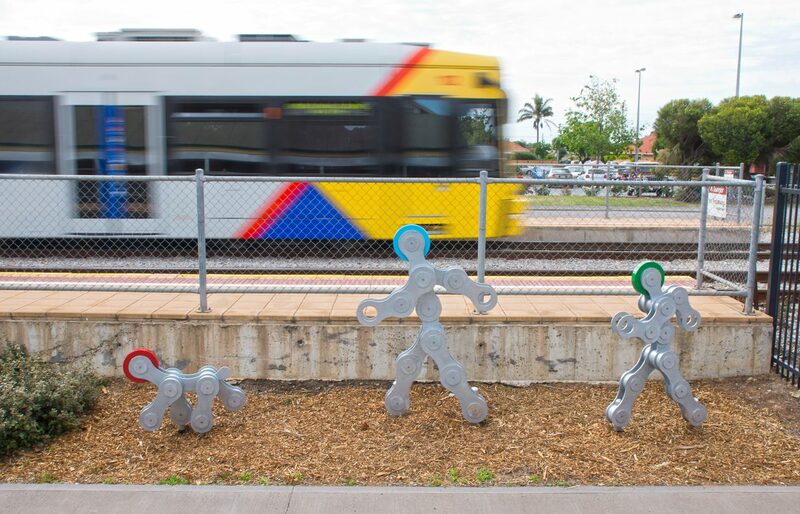 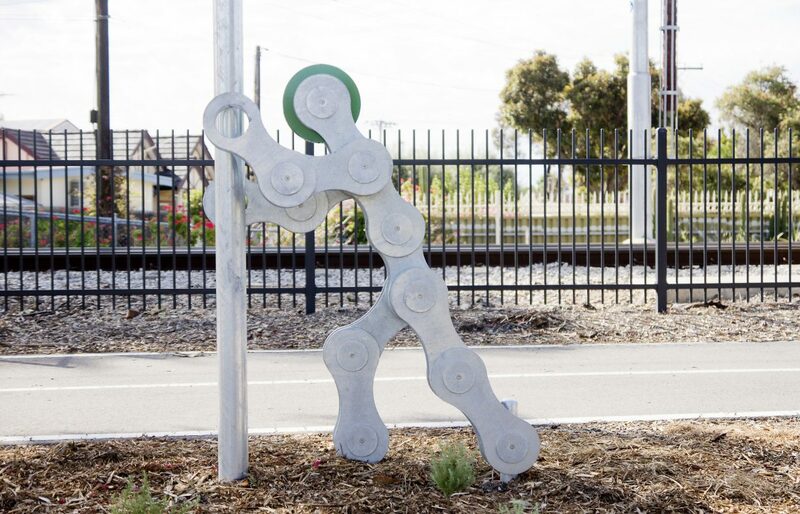 The active ‘link’ people are made from a scaled up detailed chain link forms referencing bicycle chains and movement. 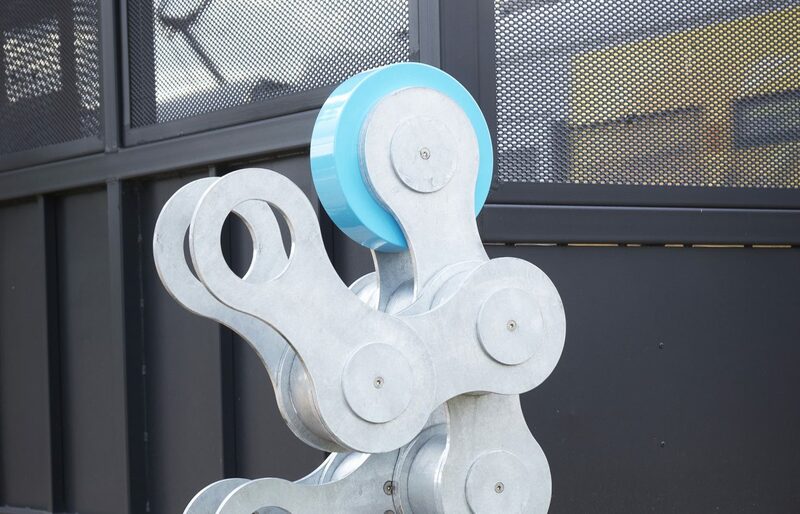 All fixings are hidden internally making them asethetically interesting as objects. 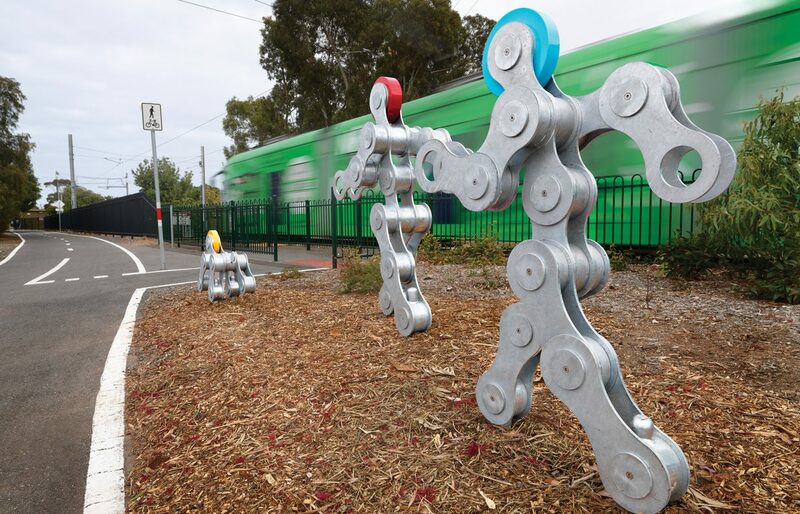 They are also interpreted in a 2 dimensional form and applied to the fence along the cyclepath. 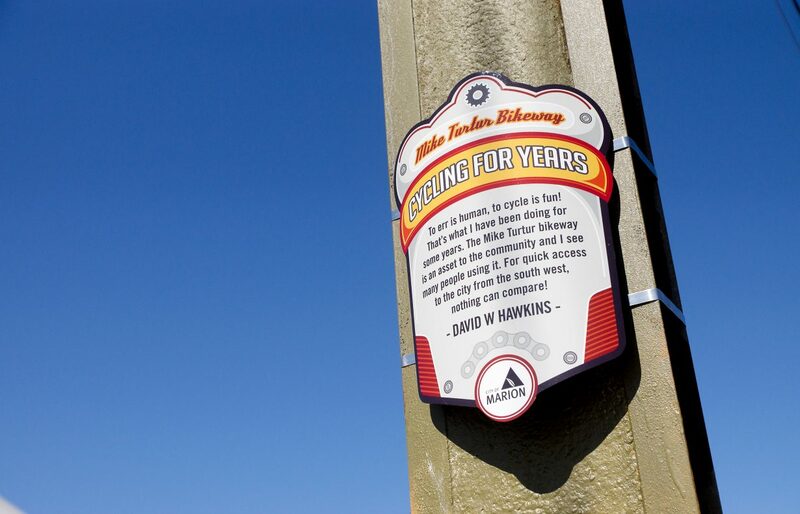 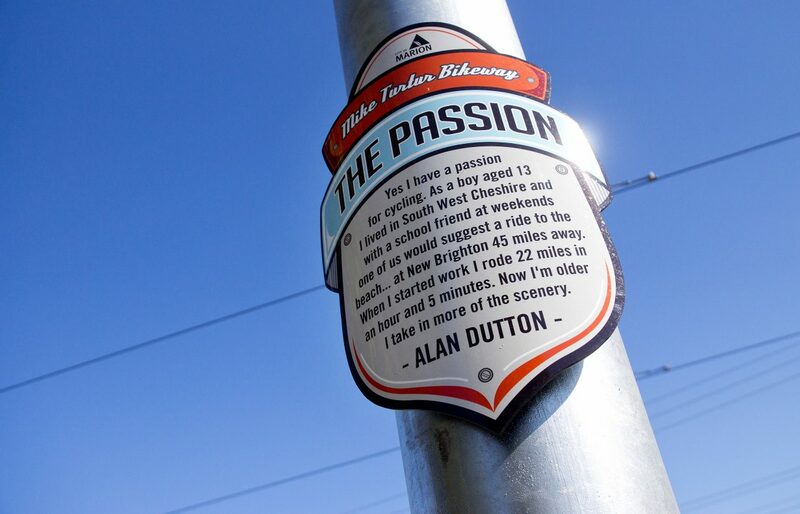 A series of plaques design around tradition bicyle headstem badges contain cycling related quotes from a diverse range of people including famous cyclists and local community members. 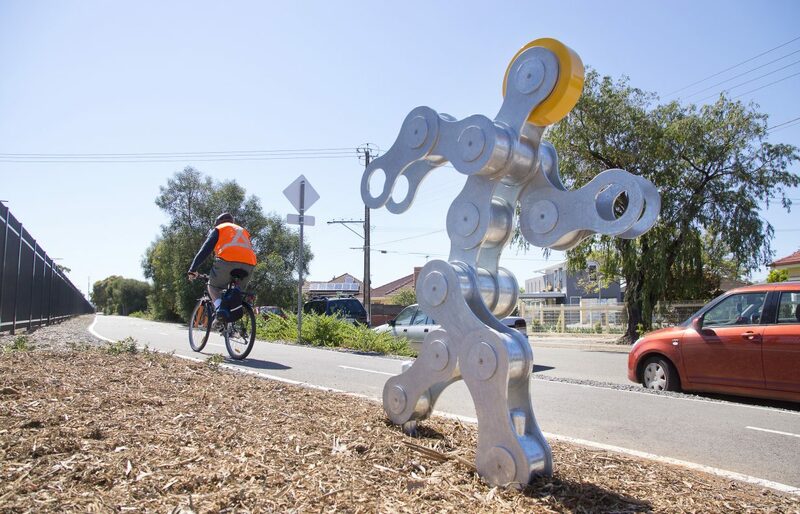 This series of human scale cycling related interventions are a pleasant and engaging surprise as you travers the cycleway.